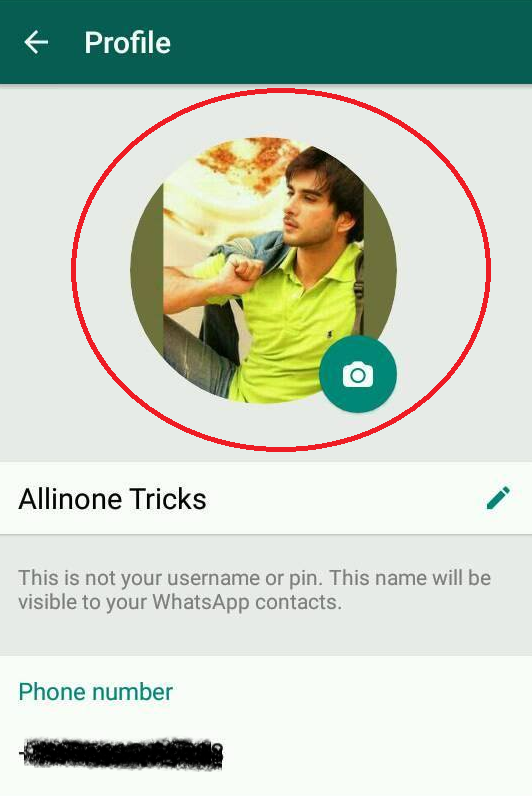 How To Set Whatsapp Profile Picture (DP) Without Crop. 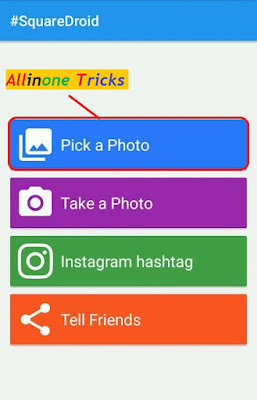 Wants To Update Your Whatsapp Profile Pic Without Cropping?, Then This Article Really Helps You.Yes After Posting So Many Whatsapp, Facebook Related Articles, I Bring A New trick To Set Whatsapp Profile Pic (DP) without Crop. Many Peoples Are Using Whatsapp And Facebook Both. Both Are The Best Social Networks Nowadays, But Some peoples Who Loves To Update DP’s Hate whatsapp Features And Use Facebook, Because Whatsapp On Facebook You Can Update Your Profile Pic Without Cropping. But Whatsapp Didn’t Provide This Feature To Their Users. You Have To Crop Your Image Before Updating It On Your Whatsapp Profile, You Have No Other Option To Set Profile Pic Without Cropping.You Can Only Use Square Image To Set your Whatsapp DP Without Crop. But All Images That You Find Better For your Profile Pic Are Not A Square Image, So You Can’t Update It As Whatsapp DP Without Crop. So Guys This Article Mainly Helpful For Those Guys Who Wants To Update Their Whatsapp DP Without Cropping. Guys As You Know Whatsapp Is Very popular Nowadays Allover The World. Whatsapp Has Millions Of Users At Present.Every Android User Have Whatsapp Account.Now Whatsapp Also Providing Its Service To PC Users, Yes Guys Now Whatsapp Started New Whatsapp Web Software For The PC Users, You Can also Download It From The Official Website Of Whatsapp.Whatsapp Is The Most Popular Social network nowadays. Every Whatsapp Users Update His/Her Whatsapp Profile Pics Weekly Or Daily. But The Main Problem Occurs During Updating DP Is That Some DP’s Are unable To Set Without Cropping, So You Feel Irritating. 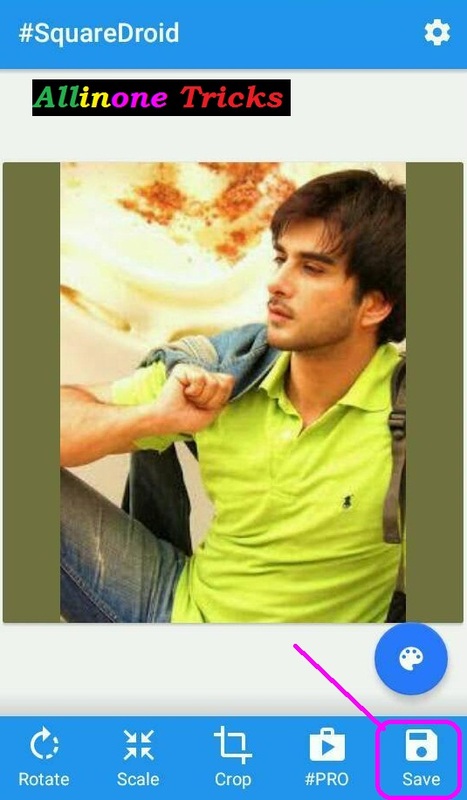 Whatsapp Doesn’t Provide Any Feature To Set Whatsapp Profile Pic Without Cropping. Whatsapp Says Automatically To Crop It, Otherwise You Can’t Update That Pic as Your Profile Picture. I Have also shared an awesome trick o Create Fake whatsapp last seen, so you can also checkout this. So Guys Today For This Problem I Bring A Best Solution That I Am Going To show You In This Article. 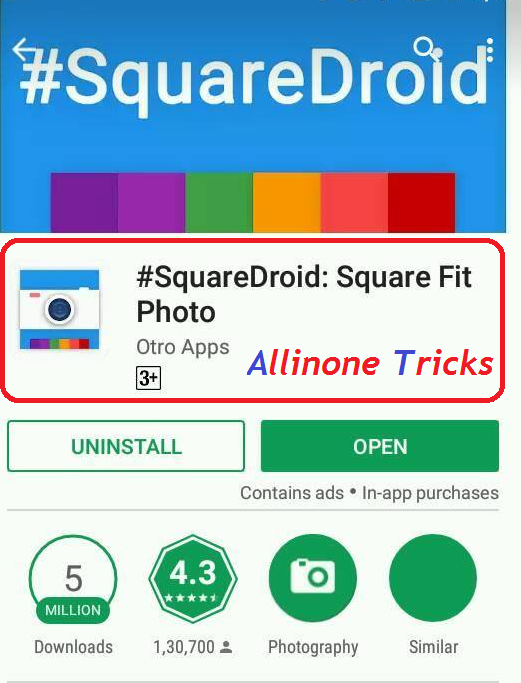 Some People Thinks That This Is Impossible to update Image As Whatsapp DP without crop, But I Think this Is Possible By Using This Method I Am going to Show you below.Here In This Method You Just have To Download A Application in your android device Which is Named As “SquareDroid”. 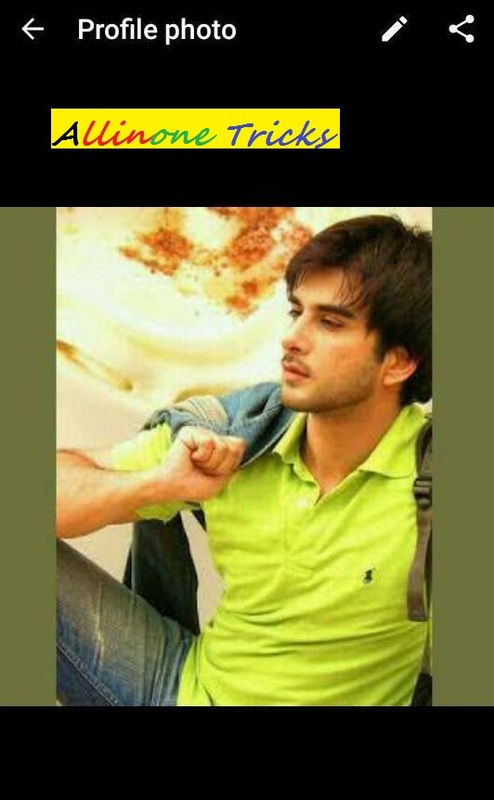 Yes Guys By Using This Applpication You Can Perfectly Set Your Whatsapp DP without Cropping. If You Are Thinking That It Is impossible To Set Whatsapp DP Without Crop Or It Is Very Hard Then Feel Free Because It Is Very Easy To Update Whatsapp DP Without Cropping, You Just Have To Download An Apk. “#SquareDroid”. This App Is Available On Play Store And Other App Platforms. I am Sharing Download Link For This App. You Can Download It From Here And It Is Very To Use. Follow The Below Steps For Better Understandings. Step 1:– First Of All Download A Apk. “SquareDroid” From Play Store Or From The Link Given Below. Step 2:– Then Install And Open It. Step 3:- Now It Will Show Four Options On Your Mobile Screen.Now Choose “Pick A Photo Option”. And Choose Any Image From Gallery Which You Wants To set As Your Profile Pic Without Cropping. Step 4:– Now SquareDroid Will Automatically Resize It With A Square image, Don’t Worry It Can’t Decrease your Image Size And Didn’t Crop It. Step 5:- Now Successfully Click On Save. Step 6:- Now To Ste This Image As Your Whatsapp DP Go To Whatsapp >>> Settings >>Profile Pictures>> Edit. And Then Choose That Image From Gallery Which You Picked In SquareDroid App. Step 7:- Now Your Whatsapp Profile Will Be Successfully Updated Without Cropping. 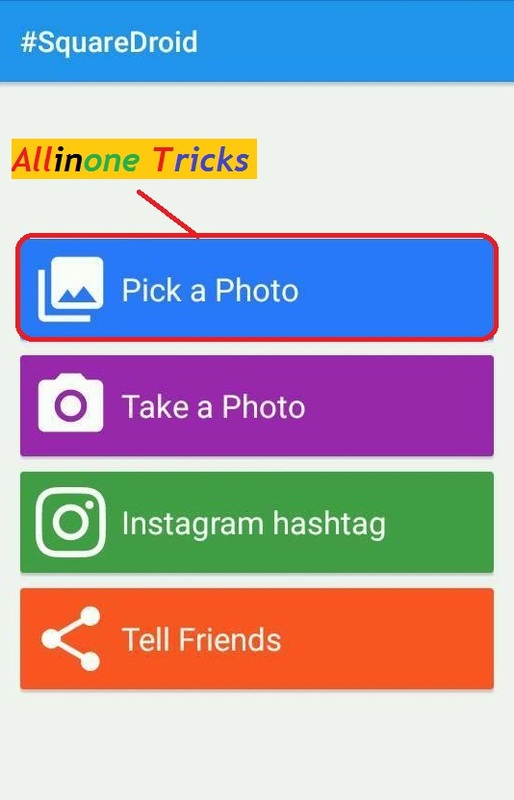 So Guys I Think Whatsapp DP Cropping Problem Doesn’t Irritate You, Because After Reading These Steps Above You Can’t Face This Problem Of Cropping Any Image To Set It As your Profile Picture.These Are The Easy Steps, You Can Follow Them Easily Without Any Query. You Only Have To download an application #SquareDroid And Then You Can Easily Set Your Whatsapp DP Without Crop. Also check Girls Attitude Dps. Guys This Is the Only Method I Have Shared With you To Use Whatsapp DP Without Cropping, This Is The Easiest Method I Have Shared.If You are Thinking That This Is Impossible to Set Whatsapp DP without crop then First Of All Follow The Above Steps And Then Also If you Are Unable To Set Your Whatsapp DP Without Cropping Then Comment Below Your Problem I Will Give You Solution. But In My Opinion You never Get Any Problem If You Followed Above Steps Carefully. Must check Whatsapp Always Online Trick. If you are thinking that this method is not good for you or if you are searching for any other method to set whatsapp dp without crop then stop searching because below i am going to share one more method i.e. alternative method to set whatsapp dp without crop. here below is one more method which is well working without any doubt. this method is personally tested by me and i am also using this method to set my whatsapp dp without crop. First of all download Whatscrop app from below URL. Now install and open the app in your android hone and select that Image which you wants to crop. Now in main page of the app it will show the image. Now click on Background to change the background of the mage. you can add any Background Image or also add any photo frame according to you. Now Click on save Button to save the Cropped Image and below it will Show many options select Whatsapp Profile Photo from them to set Whatsapp DP without crop. So we have shared two methods to Set Whatsapp DP without crop. now it depend on you which method you wants to use. Both methods are working. you can use these steps to use DP without crop on any social media networking account. With the hhelp of Whatscrop and squaredroid app, you can use any of your Favourite image as your whatsapp DP because these apps help to resize any image without cropping it. So don’t worry about Whatsapp Cropping problem and checkout above steps which i have shared with screenshot of every step. Skype has opened its web-structured consumer beta towards the world, following establishing it broadly inside the United states and U.K.
before this calendar month. Skype for Internet also now facilitates Chromebook and Linux for instant messaging connection (no video and voice yet, all those call for a connect-in installing).